Today I will welcome the Lord. I will offer him the hospitality of my heart and sit at his feet to listen to and learn from him. I will serve him with my attention. 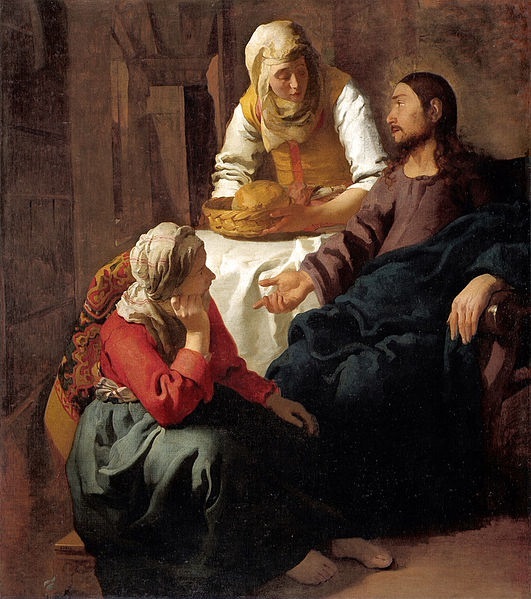 This entry was posted in art, Catholic, Christianity, Gospel, Jesus, Lectio Divina, meditations, reflections and tagged art, Catholic, Christ, Christian, Gospel of Luke, Jesus, Lectio Divina, Martha and Mary, meditation, scripture on July 17, 2016 by Mary Ann.